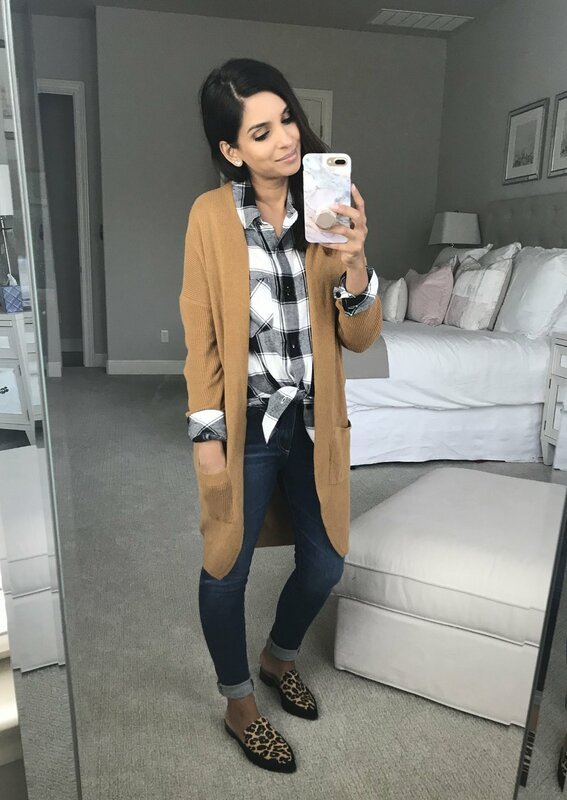 Today I'm styling one of my favorite cardigans from the Nordstrom Anniversary Sale six different ways! This one is perfect for fall and comes in six different colors and I may have bought three of them, haha. What can I say, I'm a creature of habit and when I find something I love I need it in every color!! I do have to say this color is probably the one I'm most excited about! Here's a breakdown on each look and you can also click on any of the images for links to everything I'm wearing. I love the contrast of this cardigan against all white. I have had this white tee for a year and also have it in gray and absolutely love it. 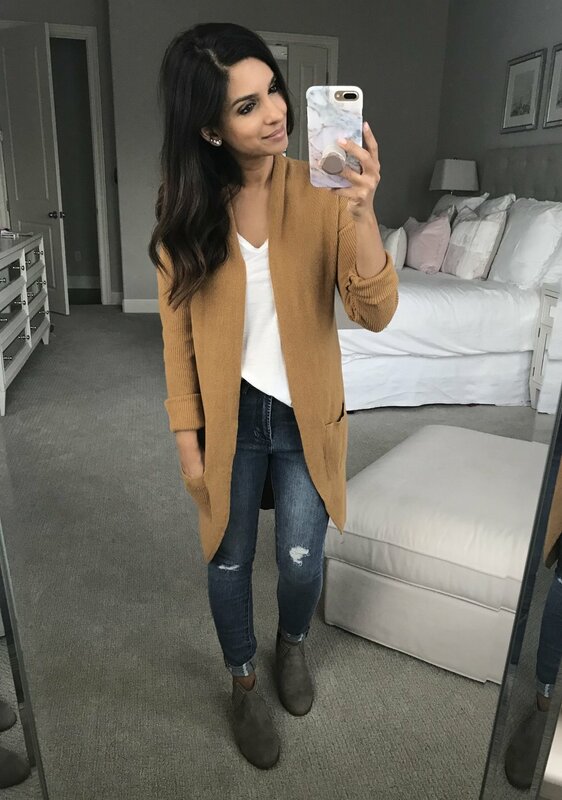 This is a closet staple for me in the fall and so cute over leggings too. These booties are one of my favorites that I saw in the sale! I love the buckle detail and this color is perfection. I got my normal size in these shoes. If you buy one pair of jeans this sale, it needs to be these! They are by far my favorite and amazing quality and fit. I love this button down and it comes in several colors and patterns. The mules shown in this photo are from last year but they have this pair which I've ordered and this pair which I tried on and loved! This is my go to look for fall. This combo is easy and comfortable. These jeans are on sale for under $50 and they're definitely some to grab. I am obsessed with the cut outs on the sides of these booties, these are going to be so fun to wear next season! I have been raving about these leggings for ages and they're a part of the sale! Trust me when I say you will NOT regret these. Everyone needs a pair or two (or five if you're like me haha). Another easy look to throw on. I love how the color of this cardigan pairs with black & white stripes! I linked this year's version of this black denim that's on sale for under $50. And as you have seen by now, I love love love these booties! I hope this styling sesh was helpful for you guys! More to come this week! You can browse the rest of my sale picks here.